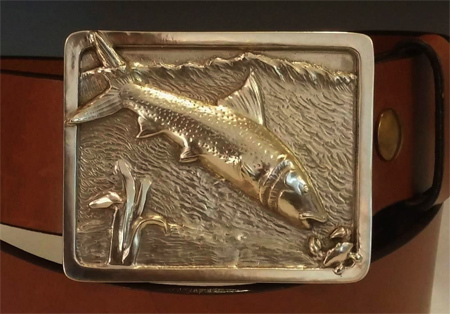 “I’ve been a full-time, self-employed sculptor for well over 10 years now. My main focus has been superheroes and monsters, and I’ve done a lot of work for private collectors, as well as large collectible companies and producers. 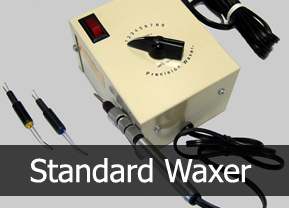 A large portion of the work I do is in wax, and I own, or have owned, just about every waxer (or wax pen), out there. After a few years of spending way too much money for overpriced waxers and tips, I eventually I got around to picking up a Giles Precision Waxer. 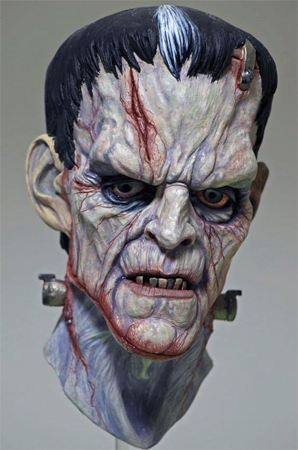 It was very affordable, and I had heard some pretty good reviews on it, from some of the top sculptors in the collectible industry. It wasn’t long before it became my go-to workhorse, and the one wax tool that I absolutely can’t function without. 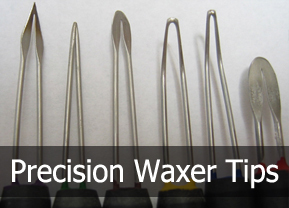 There’s a wide variety of inexpensive tips to choose from, whether you need to move a lot of wax, or just a little dot. It’s a super rugged machine, and couldn’t be simpler to use. I like to control exactly when the tip heats up, so I purchased a separate foot pedal, allowing me to turn it on and off, only when i’m ready. The beautiful thing is, the tips heat up almost instantly, so there’s no delay between the time I step on the pedal, and the time the tip begins to melt the wax. The tips are easy to clean, and if one breaks (after a lot of punishment), the Giles customer service is absolutely stellar. They’ve even worked closely with me, and custom-made me several tips based on my own specifications. 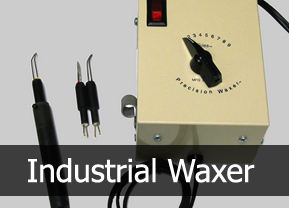 “I was first introduced to the Giles Hot Wax Pen when I began doing free-lance work about 20 years ago. As a graduate in sculpture from the Rhode Island School of Design I had used wax to make sculpture to be cast in bronze. I discovered the Hot Wax Pen when I began to work on a smaller scale, making jewelry and small models. The tool allowed me to greatly expand my working vocabulary, using the tool for small, medium and large models. During my 14 years designing glass for Steuben Glass I consistently used this amazing and versatile tool when I made wax models to further my ideas as they evolved toward being made into luxury glass sculpture, tabletop and corporate work.